These proven herbs will help you relax and reduce your anxiety before your Root Canal Treatment. Speak to one of our friendly staff for more information. Only available at Gentle Endodontics in Chatswood and Parramatta. A lot of people have what is often referred as Dental Phobia, Dental Anxiety or Dental Fear. This means that the idea of visiting the dentists provokes anxiety and stress for them. At Gentle Endodontics we understand that visiting the dentist can be a frightful experience. This is why we believe that the relaxation techniques that dentists use should begin in the waiting room. So as soon as you enter our office one of our friendly staff will offer you a tea that has been specifically made for our patients. This tea has been made using a combination of herbal ingredients that have been scientifically proven to calm the nerves and ease anxiety. 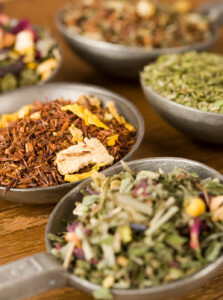 We like to call it the “Happy Root Tea”… Why not try a cup while you wait.